A Unique High Desert Modern Escape. 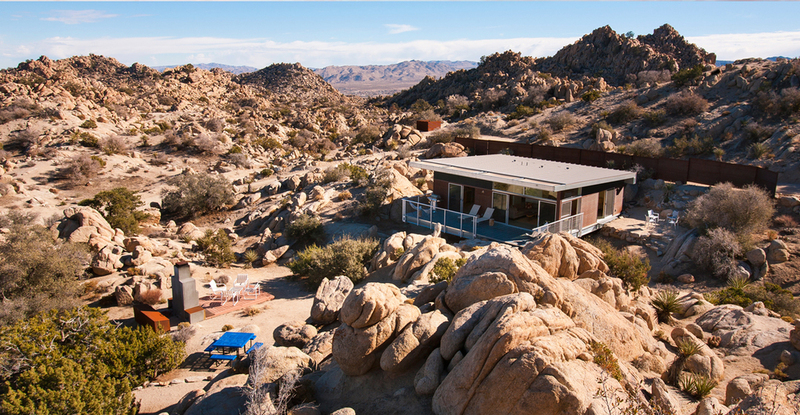 Available for rent now in Yucca Valley near Joshua Tree, California. Welcome to one of most remarkable homes – in one of the most remarkable settings – in the Southern California desert. Rock Reach House is a modern steel house perched amidst a pristine high desert setting replete with enormous weathered boulders – along with ancient juniper, pinón and desert oak trees – in a private community near Joshua Tree National Park. 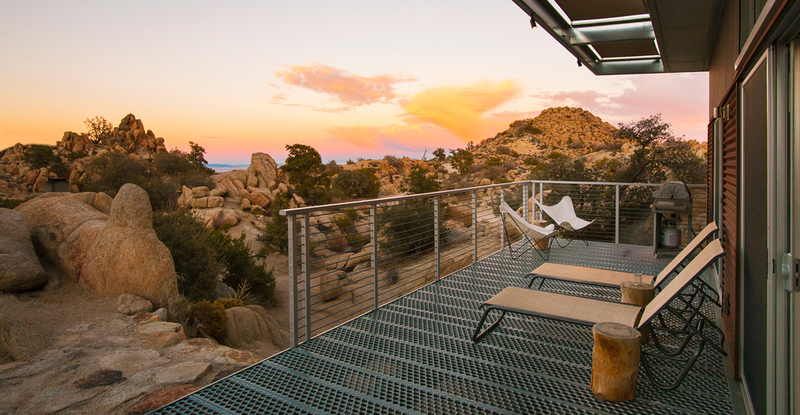 The house is available for short-term vacation rental for architecture and desert aficionados alike; or for anyone who simply wants to decompress in style and serenity. Rock Reach House was profiled in the April 2010 issue of Dwell magazine and the November 2015 issue of Sunset magazine, and is the first house built by Blue Sky Building Systems using the Blue Sky Frame®, a revolutionary light-gauge steel frame system. I invite you to explore the house and the setting on this website. And when you are ready to experience it in person just book online at VRBO or Airbnb.